How It works ? Look here. 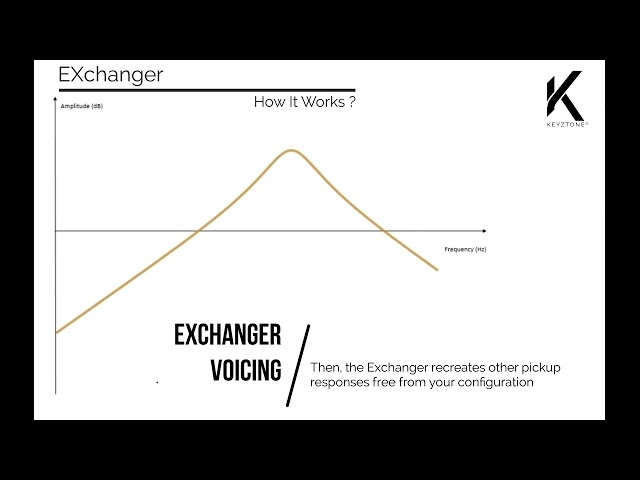 The EXchanger main goal is to create new pickup tones from any pickup source. It has been designed to decorrelate the EXchanger output from the input pickup response. So it doesn’t matter what your pickup configuration at the input is (type and quality of pickup, cable length, potentiometers). What’s the matter with guitar pickups ?